One of my favorite accessories is my hair. I think the style, color and texture can make a big difference to my overall look. It’s always so fun to make a big change, and essentially take on a whole new aesthetic, but for commitment-phobes out there, it can be really difficult following through with a total hair makeover. If you’re looking to change your hair without commitment, keep reading for some inspiration that you can try easily at home, no strings attached. One of the hardest hair decisions to make is the color. I, myself, have been toying with the idea of going lighter, but haven’t bit the bullet yet. 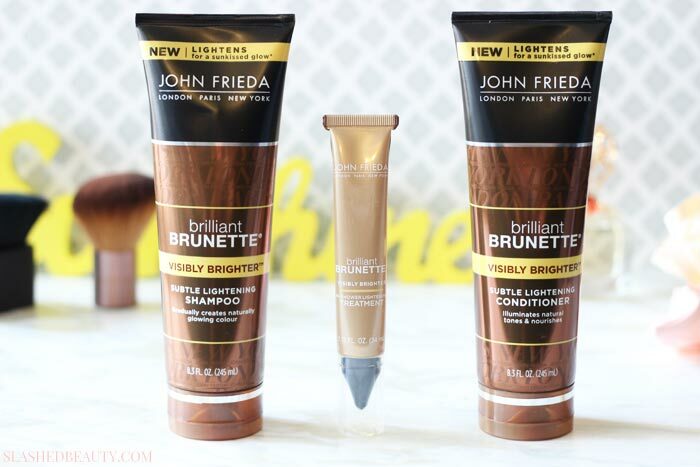 What I have been using, though, is the John Frieda Brilliant Brunette® Visibly Brighter™ Subtle Lightening Shampoo, Brilliant Brunette® Visibly Brighter™ Subtle Lightening Conditioner and Brilliant Brunette® Visibly Brighter™ In-Shower Lightening Treatment. 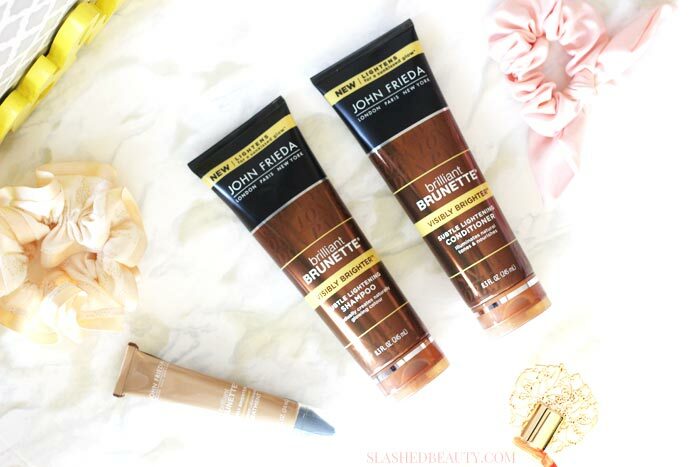 You can pick these up at Walmart and they are great options to gradually lighten brunette hair and enhance it with a sun kissed glow. 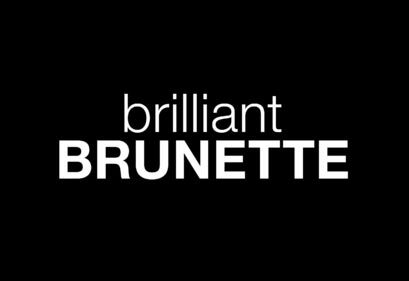 Since brunettes have a lot to consider when trying on a new color (shade, tone, shine) I like that the Brilliant Brunette® Visibly Brighter™ Shampoo and Brilliant Brunette® Visibly Brighter™ Conditioner will brighten your hair in the shower without brassiness over the course of 3-5 washes. Plus, you can use the Visibly Brighter™ Treatment for quicker results after one five-minute use. 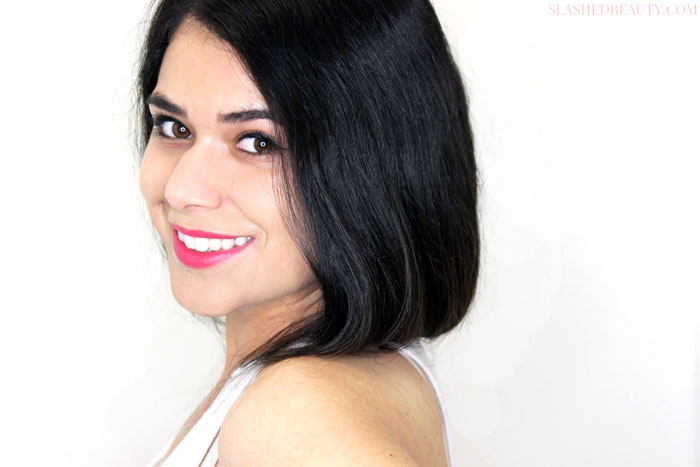 I usually use the treatment before the shampoo and conditioner, and my natural highlights really shine through and give me an overall lighter and brighter brunette shade— perfect for summer and great for just trying on a new hair color without committing or damaging my hair. 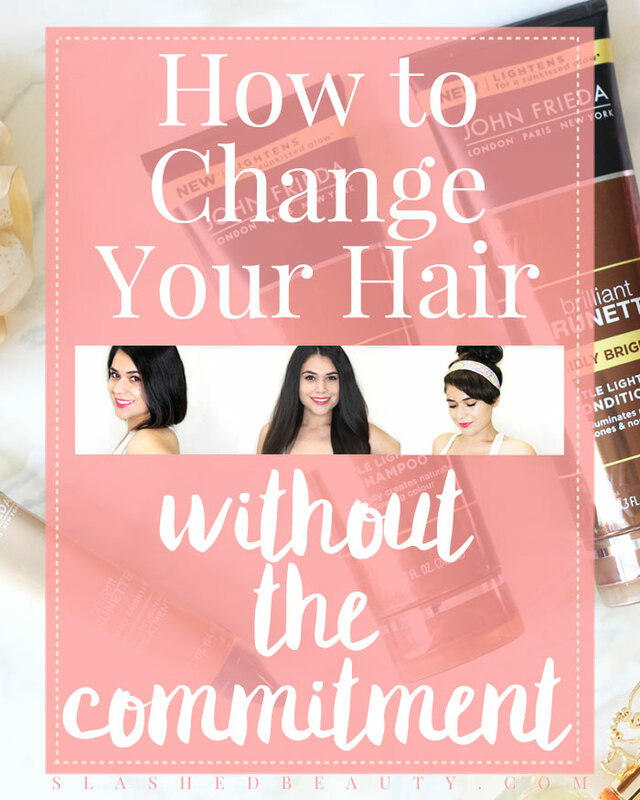 The easiest way to change up your hair style with no effort at all: change your part! This little change can actually make a huge difference in how your face is framed, and is much easier to reverse than a haircut gone wrong. I typically wear my hair parted to the left, but when I’m feeling like switching it up, I try a middle part which I think makes my face look longer and more oval. This one is a go-to of mine when the sun is strong and I’m dying to get the hair off my neck. Plus, I always get a kick out of tricking my friends. All you have to do is tie off your hair with an elastic a few inches up from your hair’s ends (depending on how long you want your bob). Then, tuck the ends up and behind the rest of your hair. Secure with a few bobby pins, and you’ve just given yourself a temporary chic chop. When I was younger, if I didn’t have bangs, I wanted them. And when I had them, I wanted desperately to grow them out. Here’s the perfect way to test the waters without taking the plunge! Pull your hair up as if you were going to do a high pony tail, and pull it through an elastic. On the second wrap, don’t pull your hair all the way through, though! Let the elastic go, leaving enough hair out to reach at least mid-forehead. Brush it forward and use a flat iron if needed to shape it against your forehead. 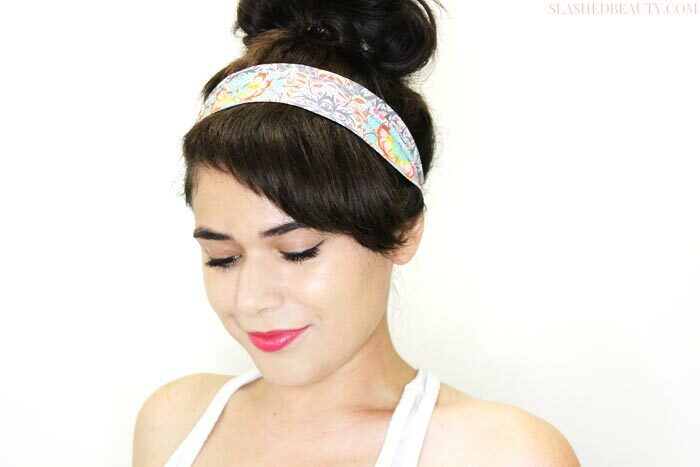 Add a cute headband to disguise the hair as bangs. What’s your favorite way to change up your hair? omg you look adorable in a bob! Love it! Giving me life. I love the way you were able to change your look. I like your faux bob. I tried it before! Cute looks, you rocked them! I love all the different looks you created, especially the faux bangs. I like them all but the faux bangs look faux so I’d avoid that look personally. Changing the part makes such a big difference. I play with mine all the time. I love each one of these ideas. So cute! Such cute looks! I LOVE the faux bob– you should consider a cut like this, it looks darling on you!! Changing your part does make a huge difference! And the faux bob and bangs looks so good on you!! Yayy! So glad I could offer inspiration!